The case information below has been posted for the purpose of soliciting input from the general public in an effort to solve the listed crimes or further their investigation. Anyone with information concerning these matters is urged to contact the Prosecutor’s Office at 1-800-533-7443 (toll free) or by submitting the information online: Online Tip Form. On June 16, 2005, the remains of an adult male were found in a small wooded area near Route 18 in Marlboro Township. Employees of the Monmouth County Highway Department who were working in the area discovered the body. The body was in an advanced stage of decomposition and no identification was found. The investigation revealed, through the Organized Crime Task Force, that a 38 year old Russian Immigrant identified as Sergey Kuretenyov had been reported missing to the New York Police Department’s 61st Precinct on May 20, 2005. The victim found in Marlboro was ultimately identified as being Kuretenyov. Anyone with information concerning this matter is asked to call the Monmouth County Prosecutor’s Office at (800) 533-7443 or the Marlboro Police Department at (732) 536-0100. Anyone who feels the need to remain anonymous, but has information about a crime can contact Monmouth County Crime Stoppers confidential telephone tip-line by calling (800) 671-4400; can text “MONMOUTH” plus their tip to 274637; or, they can email a tip via the website at www.monmouthcountycrimestoppers.com. Monmouth County Crime Stoppers will pay up to $5,000 for information leading to the arrest of criminals and fugitives. On November 18, 2002, the body of 15 year old Fatima Lopez was found at 813 Green Grove Road, Tinton Falls. The victim’s naked body was found by a construction worker clearing a wooded lot at that location. She had been buried under several feet of dirt and her body was partially decomposed. Anyone with information concerning this matter is asked to call the Monmouth County Prosecutor’s Office at (800) 533-7443 or the Tinton Falls Police Department at (732) 542-4422. 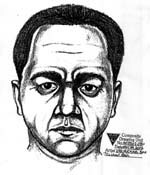 This composite drawing represents what the subject is believed to have looked like prior to his death. On May 15, 2002, an unidentified white male, who was in stages of decomposition, was discovered deceased on an island in Natco Lake, Union Beach, New Jersey. The decedent was described as a white male, age 35-50, 5’6″-5’8″, 150-170 pounds, short salt/pepper hair. 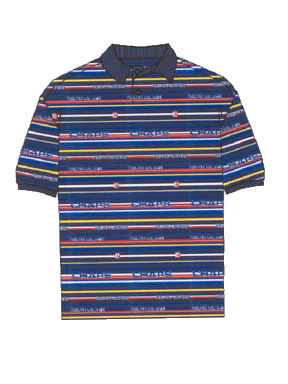 The decedent was found to be wearing tan colored shorts, size large. 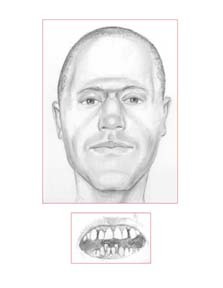 Examination found the male to have upper and lower dentures. Anyone with information concerning this matter is asked to call the Monmouth County Prosecutor’s Office at (800) 533-7443 or the Union Beach Police Department at (732) 264-0313. The Monmouth County Prosecutor’s Office and the Marlboro Police Department are engaged in a cooperative investigation regarding a murder which was discovered on April 29, 2002. On April 19, 2002, a Marlboro family discovered a 55 gallon steel drum which had been dumped on their residential property. The steel drum had been originally located in a ravine on the property which contained a small stream. The drum was moved to the end of the driveway by family members. The family believes that the drum was placed on their property no earlier than the night of April 18, 2002. On April 29, 2002, members of the Marlboro Police Department and the Monmouth County Health Department went to the property to remove the steel drum. The drum was found to be welded shut. Health Department officials utilized a probe to examine the interior of the drum and something solid was discovered. The Major Crimes and Forensics Units of the Monmouth County Prosecutor’s Office immediately became involved. When the drum was opened, the body of a markedly decomposed, fully clothed adult male was discovered. No wallet or other identification was found with the body. An autopsy performed on April 30, 2002, concluded that the cause of death was multiple sharp force injuries including a stab wound to the heart. The manner of death was determined to be homicide. It is believed that this decedent had been dead for approximately one month. A belt with a 3 prong belt buckle. The decedent’s height was 6 feet and his weight is estimated to be between 140 & 150 pounds with a thin build. The decedent’s hips were very narrow and his fingers were long. Eye color was not discernible due to decomposition. Hair color is believed to have been dark brown or black and one quarter to one half inch in greatest length. The decedent is believed to be a male of Hispanic/black admixture or white/black admixture. Age is estimated to be between 18 and 34. A postmortem dental examination was performed. This examination revealed 16 upper and 16 lower adult teeth. The lower teeth are crowded in front. There are two large spaces between various upper teeth but there is no space in the middle. There is evidence of regular dental care. 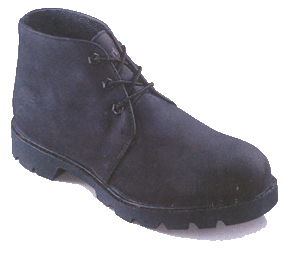 Police have obtained a fingerprint from the decedent which is suitable for comparison. The fingerprint was launched through state and national fingerprint data bases with no matches found to date. A Forensic Anthropologist with the New Jersey State Police has examined available evidence in the case. Based upon that examination, a composite sketch of what the decedent may have looked like was prepared. 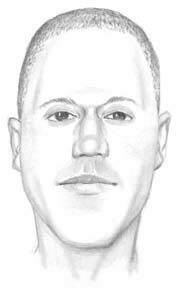 Investigation has provided police with a basis to believe that the decedent may have been from central or northern New Jersey or one of the five boroughs of New York City. The suspect was last seen entering a late model Mitsubishi SUV, black in color with a spare tire mounted on the right rear of the vehicle. The vehicle has a “Brush Bar” mounted on the front. The vehicle displayed a New York license plate. Another Black/Hispanic male and an olive skinned Hispanic female, thin build, accompanied the suspect. Anyone with information concerning this matter is asked to call the Monmouth County Prosecutor’s Office at (800) 533-7443 or the Keansburg Police Department at (732) 787-0600.